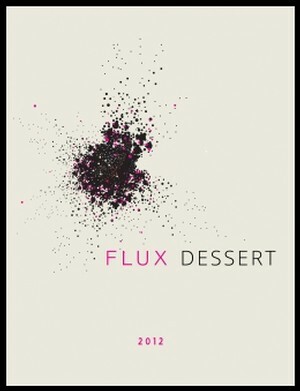 2012 FLUX DESSERT WINE (sweet) - HALF OFF! Inspired by the great dessert wines of the of the sun-drenched Banyuls region! Although our version isn’t fortified with brandy, it still retains all the ripe intensity you would expect from this grape. A beautiful garnet color gives way to aromas of ripe raspberry fruit, dried rose petals and sweet, spicy pipe tobacco. In the mouth flavors of strawberries, black cherries, pomegranates and cranberries support subtle notes of black tea, cardamom and clove. Both lush and creamy on the palate, this elegant lady finishes beautifully clean with a firm, balanced acidity. 100% Grenache. You can happily drink now or let it age for another 5 years.